Footages are recorded continuously and saved on cloud securely for 7 days. You never lose the footage even if the device got lost. Footages can be accessed and downloaded to your local storage anywhere within 7 days. You can back up the important clips and share them later. Buy Zmodo Pivot and get a free 7-Day Cloud Plan/1 Year Now. 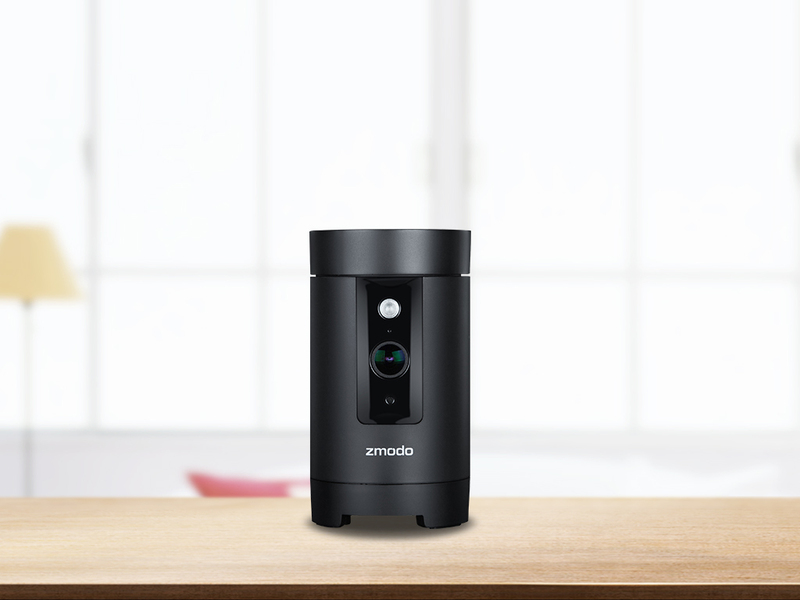 "This is a nice camera that I definitely recommend if you're trying to capture the whole room." 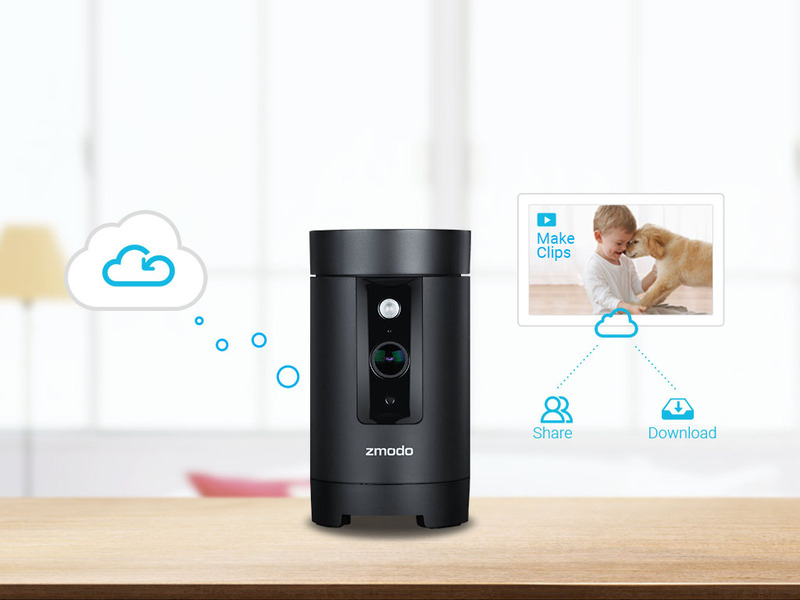 "This is one of the cheapest yet feature-rich webcams I've seen. It's a clever solution at the right price." 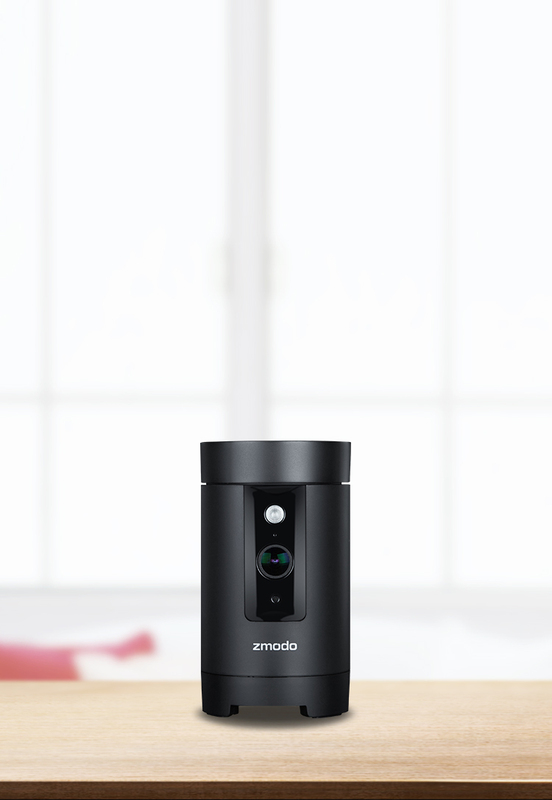 "With the Zmodo Pivot's 360-degree panning capabilities, you can keep a watchful eye on your home from anywhere without missing a beat." 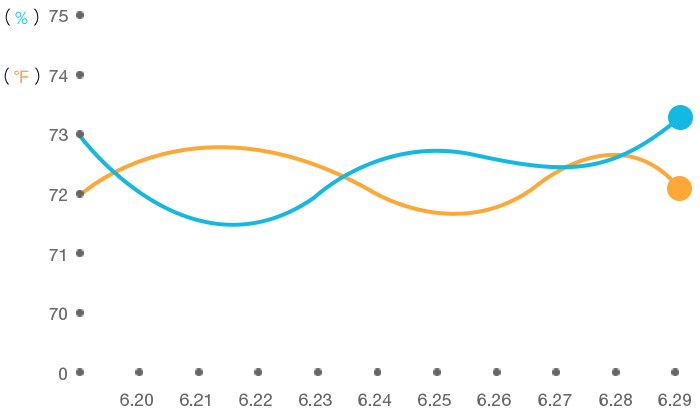 What can the Pivot do? 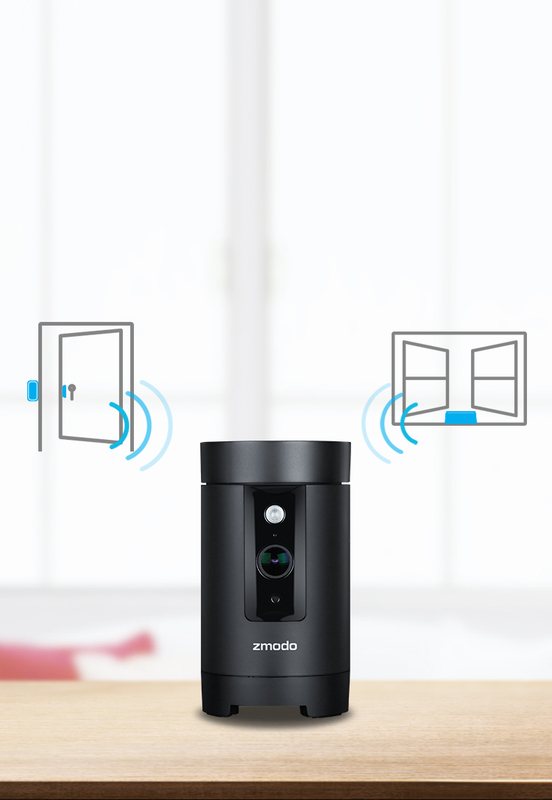 Pivot can swivel 360° when significant motion is detected and send you a video alert of its sweep of the room. 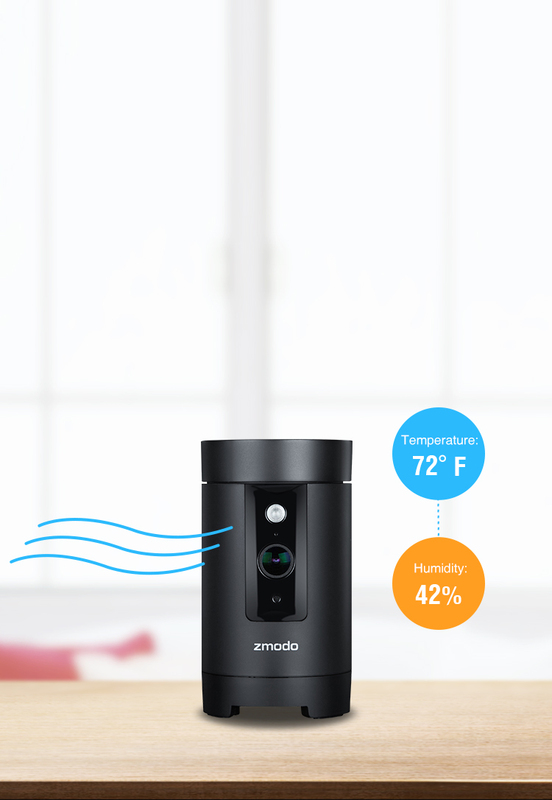 The Pivot gets the whole picture of your home's health. 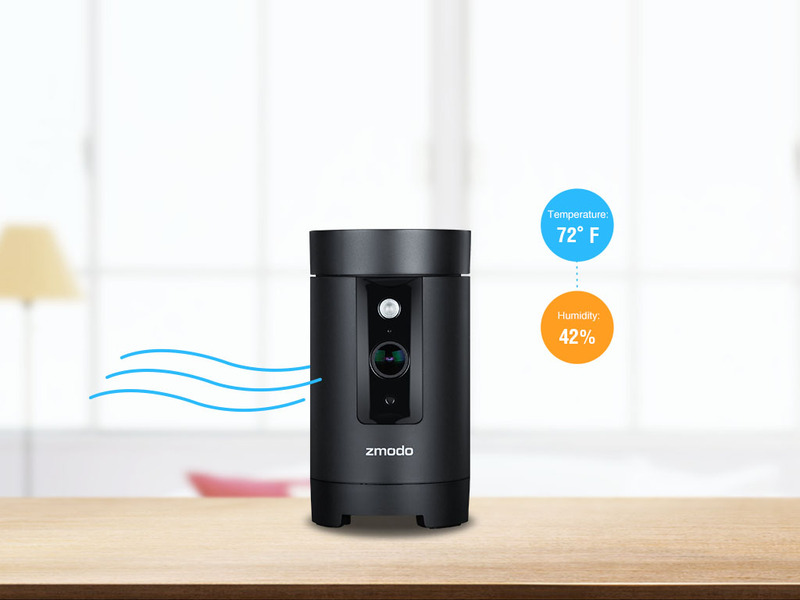 And with a built-in bluetooth speaker, this smart home hub takes center stage. 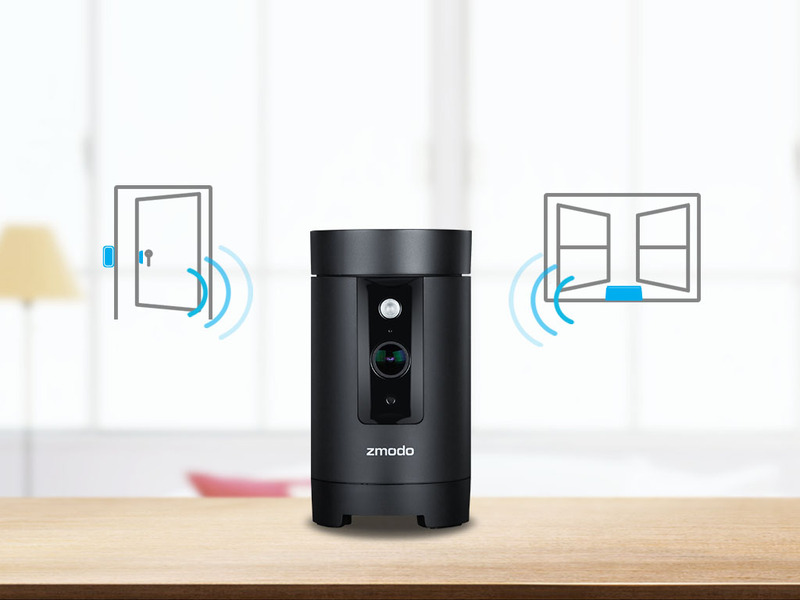 But also as a hub for connecting other smart devices, such as door and window sensors. 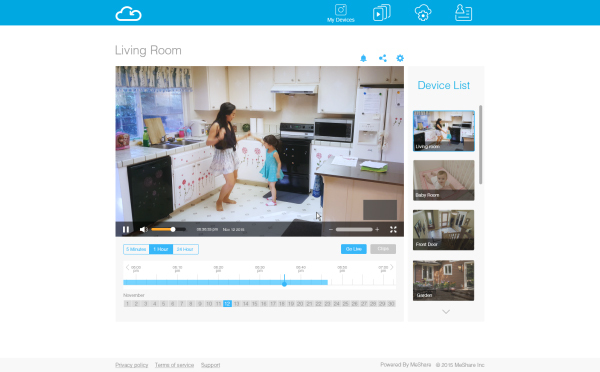 Create clips and share them easily with the Cloud controls. 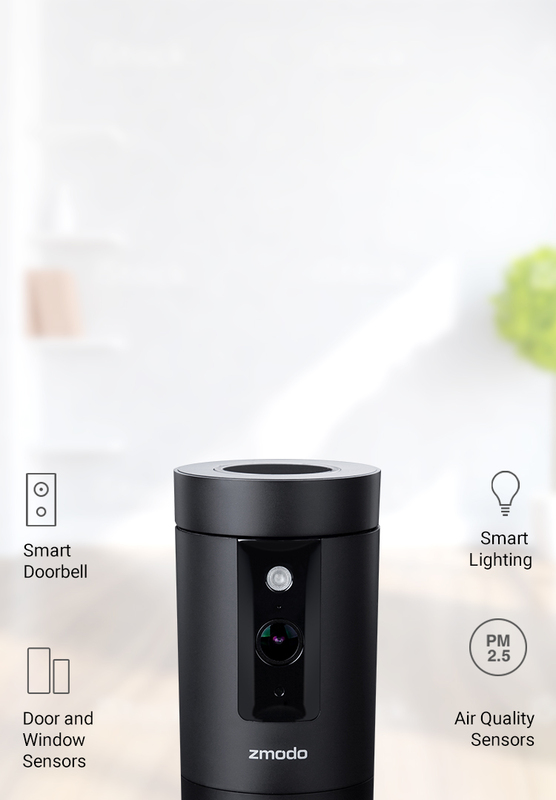 Keep track of your home's health. 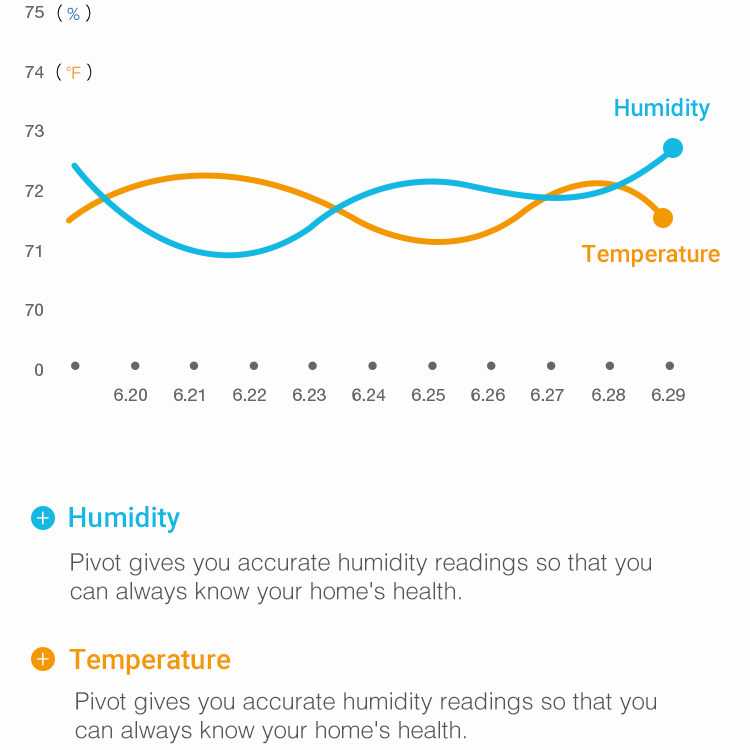 Pivot provides readings of temperature and humidity. 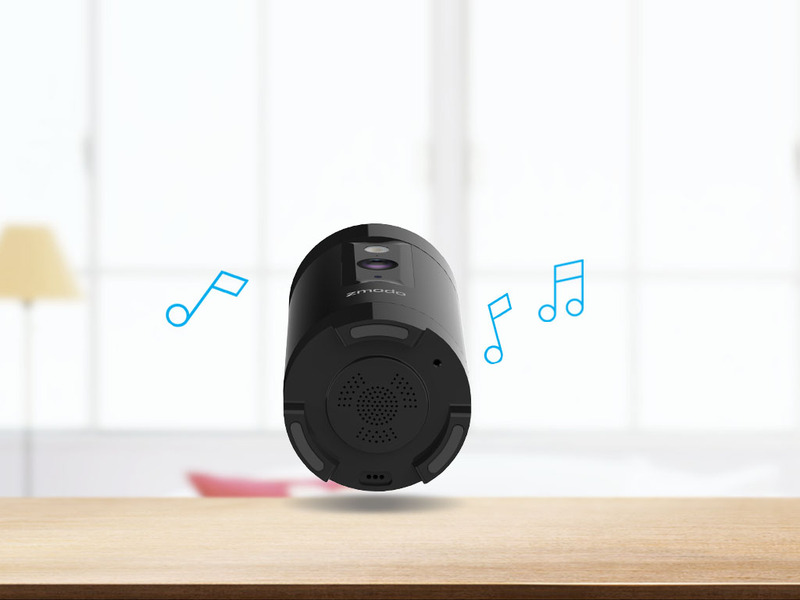 Pivot keeps you connected with two-way audio. 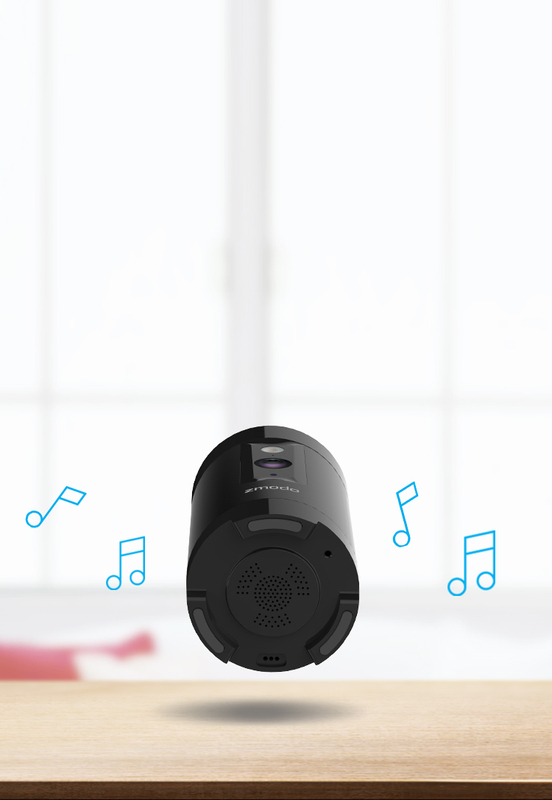 And can bring the party to life with its built-in bluetooth speaker! Try it out. Record video on the Pivot. 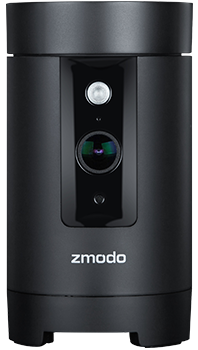 Record video footage to the built-in 16GB internal memory, without ever having to pay additional fees! 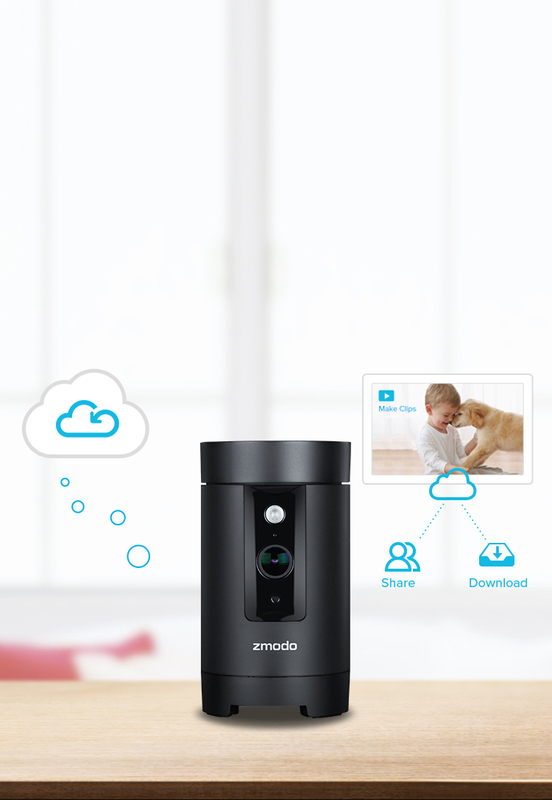 To protect your privacy, Zmodo apps and Pivot devices connect to the Zmodo servers using bank-level AES 256-bit encryption and Transport Layer Security (TLS). All video and pictures are secured with AES 256-bit symmetric-key encryption. Only the customer can decrypt and view the video through approved clients (our mobile and web apps) with their account credentials. 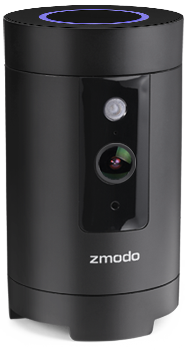 The Zmodo Pivot also has perfect forward secrecy, using 2048-bit RSA private keys for key exchange with the Zmodo servers. We also employ other security measures to protect private data, such as secure HTTP access (HTTPS) using TLS/SSL, and more.